A very special collection of over one hundred stories, memories, and reflections on trees that have had a special meaning in the lives of Australians, from ABC RN. We all have a favourite tree. We scaled their trunks in childhood, planted their saplings in memory of someone we loved, and carried their silhouettes in our hearts across lifetimes and continents. We have watched them grow and watched them burn, skylarked around in their foliage and cried into their trunks. Up in their branches we have let our imaginations soar, found a sanctuary away from our troubles, and felt connected to nature and life and the ages. When ABC RN asked its audience for stories for their trees Project, the response was astounding - listeners sent in their memories and reflections on trees they've loved and trees they've lost. 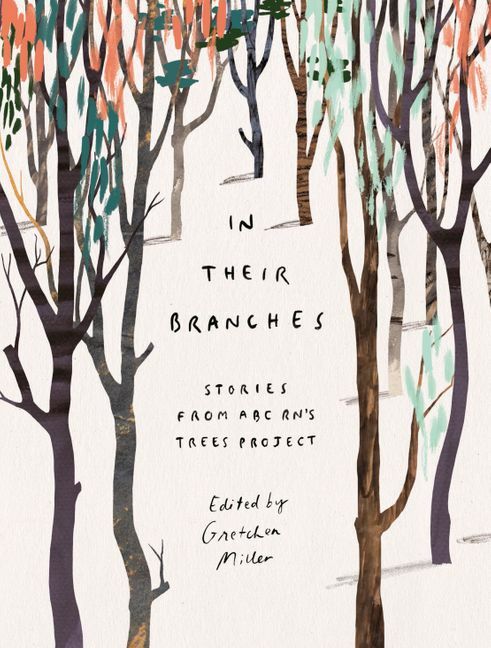 Gretchen Miller has lovingly gathered over one hundred of these deeply personal stories and poems into this exquisite collection. In their Branches is the perfect book for the arborist, the dreamer and the tree hugger in all of us. Gretchen Miller is an award-winning radio features producer and presenter at ABC RN. She is passionate about making stories of the landscape and environment, crafting intricate sound design and working collaboratively with listeners, who bring their unique and original writing and ideas to the projects.